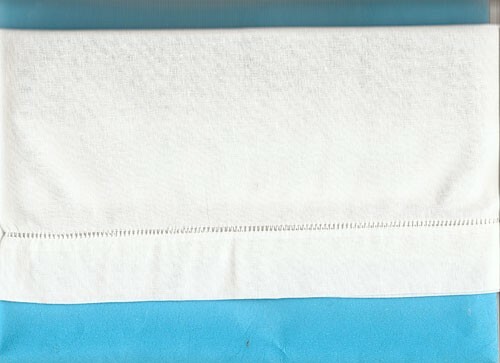 Irish Linen baby pillowcase, measures 12" x 16" with a hemstitched cuff at the opening. Plenty of room to add some embroidery by hand or machine to personalize for a special baby! Ribbon can be run through hemstitching.